Three buttercups ?!. I used adobe photoshop to change the powerpuffs into three blossomes. Wallpaper and background images in the Powerpuff Girls club tagged: buttercup powerpuff girls powerpuff. This Powerpuff Girls photo might contain ڈاؤن لوڈ ہونے والے, مزاحیہ کتاب, منگا, کارٹون, ہالی ووڈ, and کامک بُک. 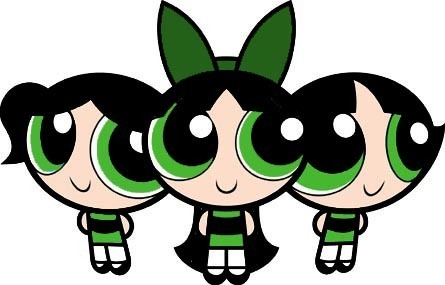 OMG, it's The Buttercup Girls! The leader should be the REAL Buttercup! xD! Bubbles: I hate to admit it Buttercup, but with our disguises we can confuse our foes!